Using QlikView and QlickSense with Arm Treasure Data allows users to interactively explore huge amounts of data, and also share the knowledge across multiple people. 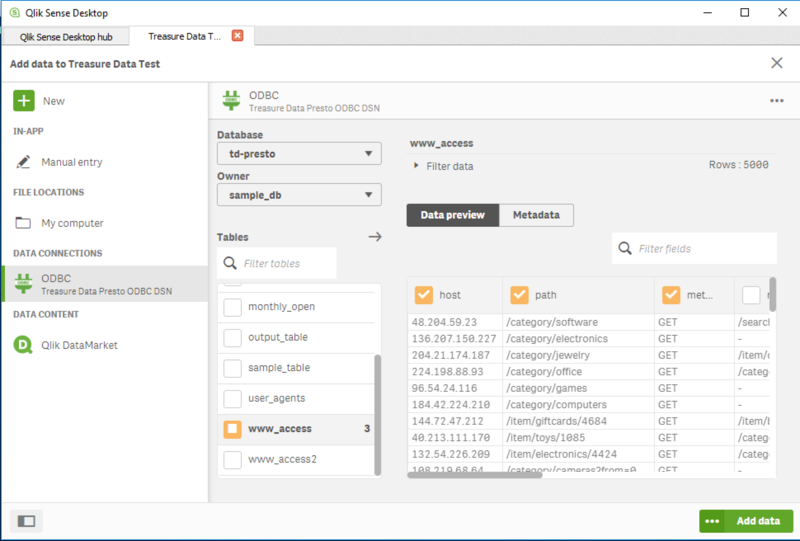 Install Treasure Data ODBC Driver, and register to your machine. 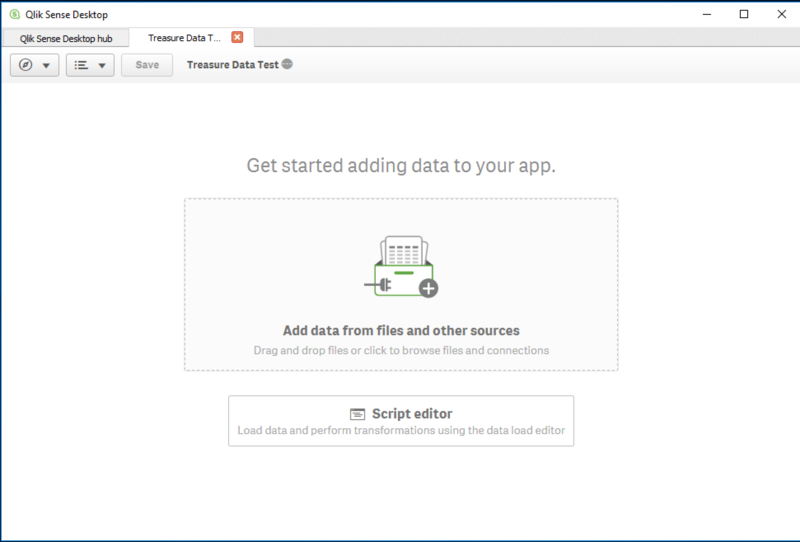 We’ll assume you have DSN (Data Source Name) as Treasure Data Presto in the following sections. 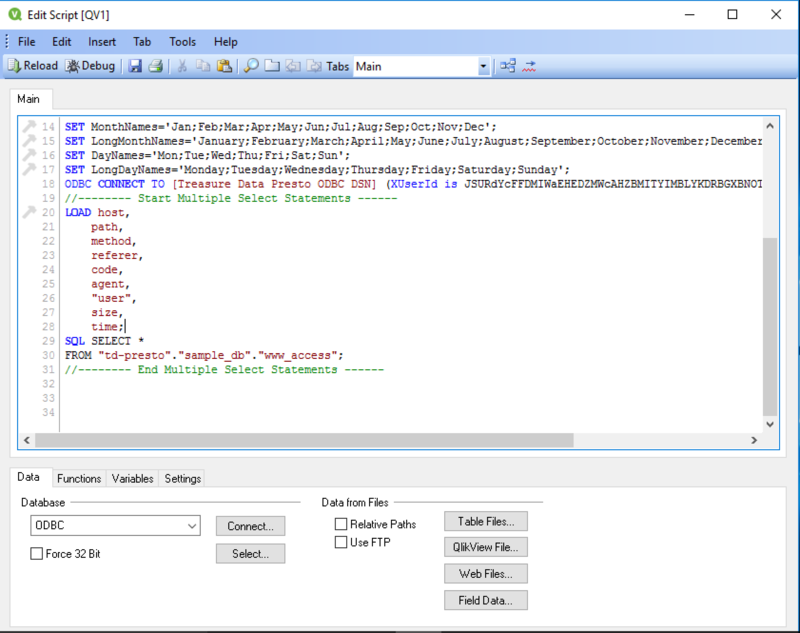 Launch QlikView, goto File and select Edit Script. 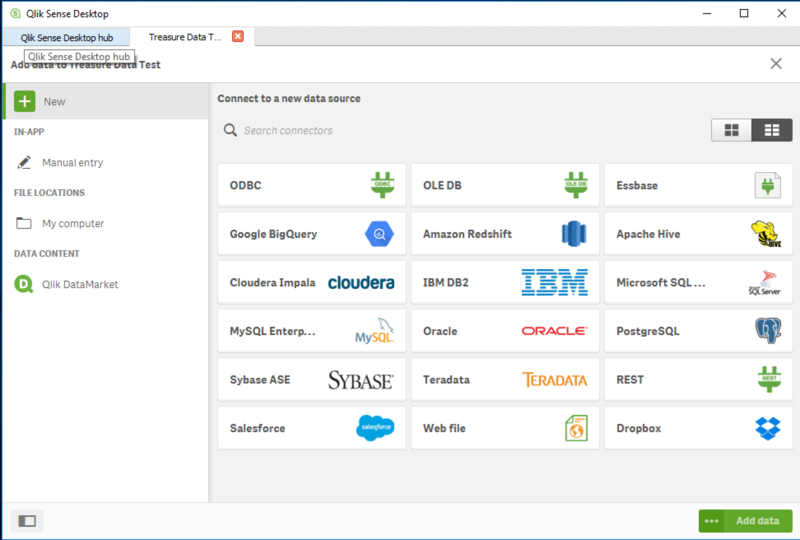 Select Data tab, and select ODBC and click Connect. First, fill your TreasureData apikey in only User ID, then select appropriate Data Source you have setted up. Please click OK, and make sure it shows Connection Test Succeeded. 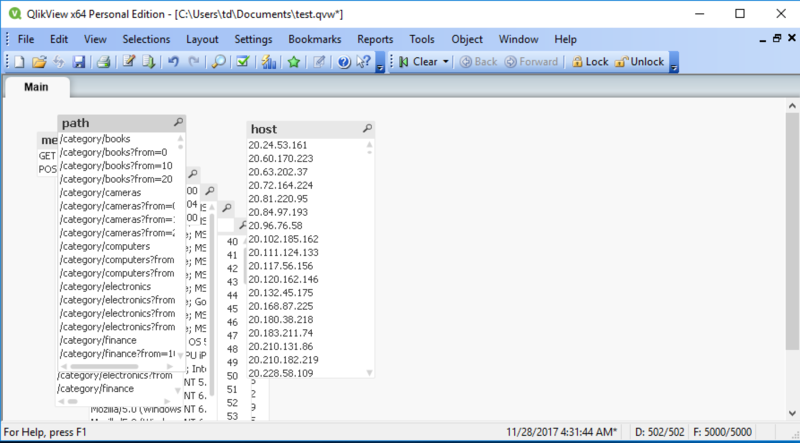 Go to the previous screen, and check if ODBC connection string exists in the script. 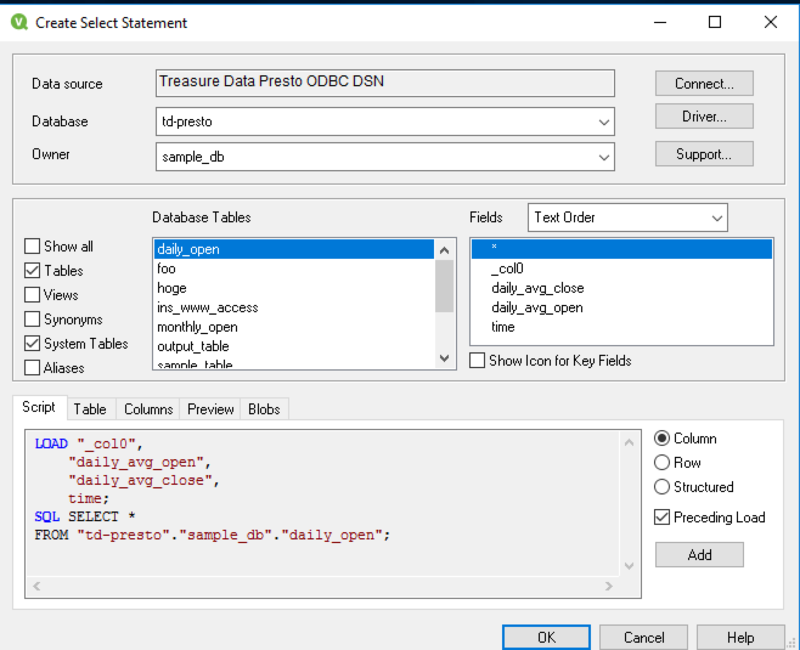 Select Database and Owner, and choose the name of database on Treasure Data. Make sure to select the same names for both Database and Owner. Then, select the name of table you want to load. Finally, select Preceding Load and click Add. Finally, click Reload icon. Then the data will get populated. 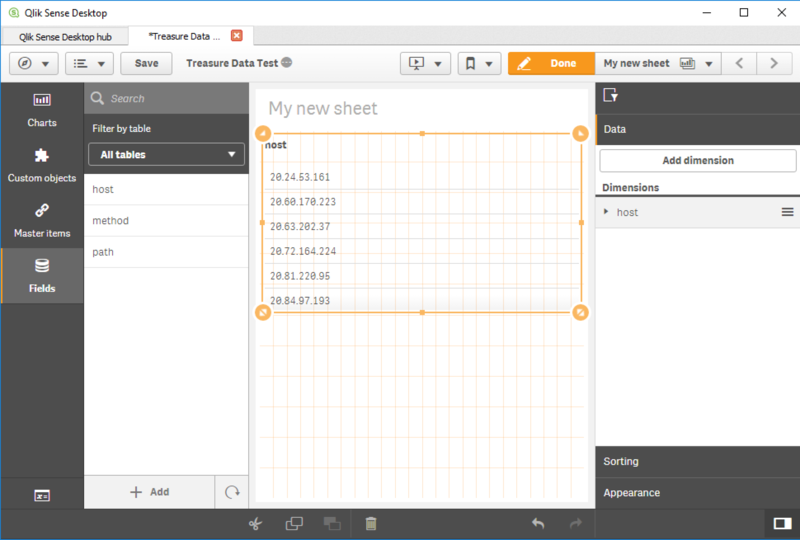 Launch QlikSense, goto Add data from files and other sources. 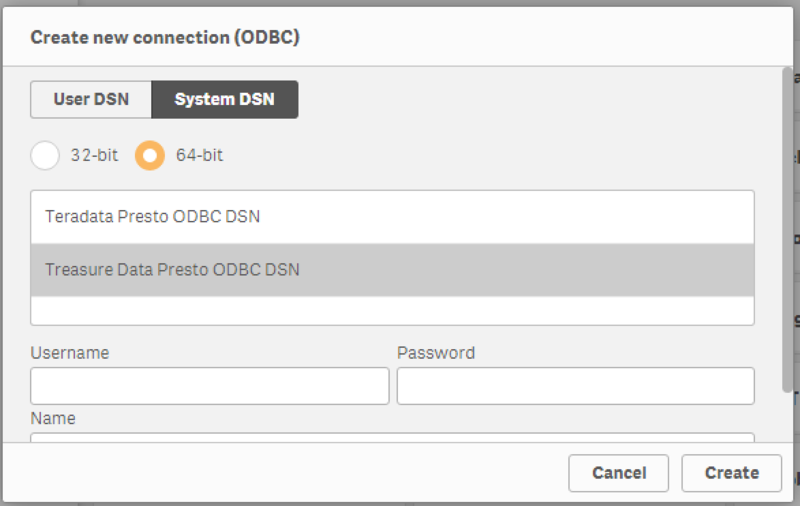 Select ODBC icon, and select System DSN and choose Treasure Data Presto ODBC DSN. First, fill your TD API KEY in Username, then click Create. Select Owner, and select the name of table you want to load. Finally, turn on column checkboxes you want to use, and then click “Add data”. Finally, choose columns in Fileds icon. Then the data will get populated.